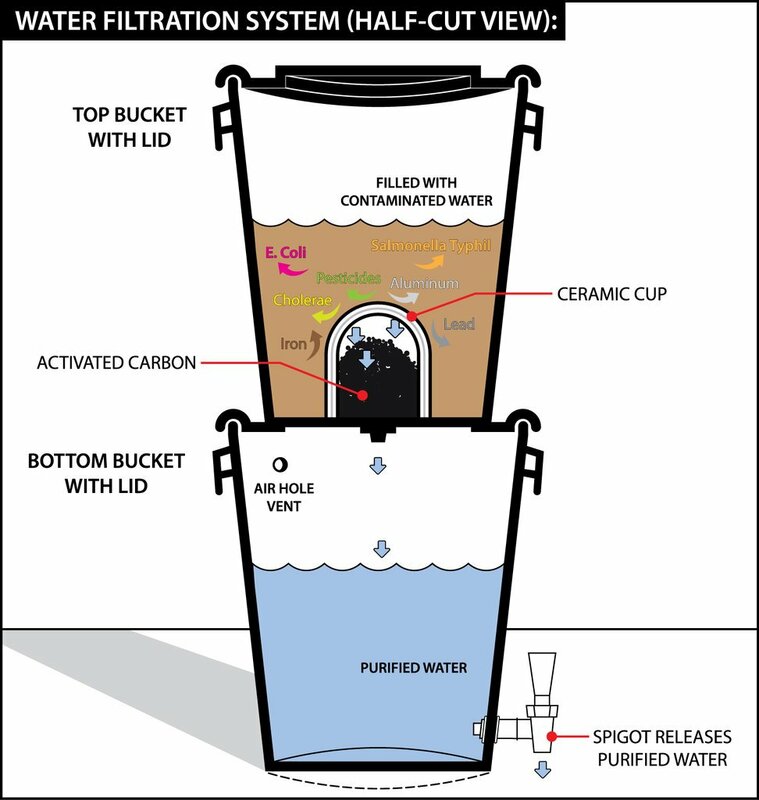 KENYA ~ New design on Ceramic water filters – REGENERATE ! Over 32 million people don’t have access to adequate sanitation in Kenya. Every year 1.7 million people, mainly children under the age of five, die from diarrhea which is caused by unsafe water. Potters for Peace work with setting up a workshops in areas where clean water is a problem. 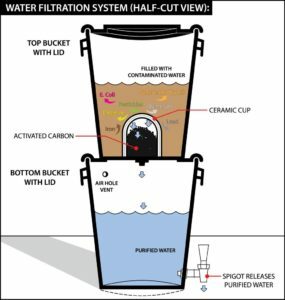 A ceramic water filter is a simple, bucket-shaped (11” wide by 10” deep) clay vessel that is made from a mix (by weight) of local terra-cotta clay and sawdust or other combustibles, such as rice husks. When the filters are fired the milled, screened combustible material burns out, leaving porous clay walls. The filters are tested to make sure they meet a standard rate of filtration and then they are coated with colloidal silver. The combination of fine pore size and the bactericidal properties of colloidal silver produce an effective filter. 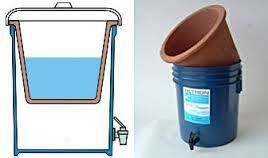 When in use, the fired and treated filter is placed in a five-gallon plastic or ceramic receptacle with a lid and faucet. 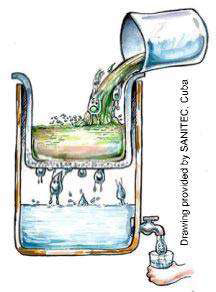 Water passes through the clay filter element at the rate of 1.5 to 2.5 liters per hour. Pricing for ready-to-use filter units, including the receptacle, is determined by local production costs and is usually between $15 to $25. Replacement clay filters will cost $4 to $6. A basic production facility with three or four workers can produce about fifty filters a day. Potters for Peace does not operate filter-making facilities or sell filters, they train others to do so, and the filter factories that they assist are run as independent businesses owned by organizations or individuals. Potters for Peace receives no financial benefit from the filter producers but filter technicians have their expenses paid and may receive a stipend while working on a new facility. There is a local producer called Chujio Ceramics, in Limuru, 1 hour outside Nairobi.